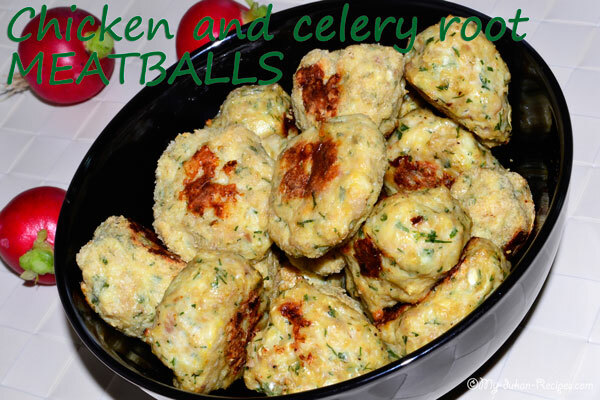 I love the meatballs, either they are made from chicken, turkey, fish… I propose you today to try some meatballs made with celery root, just as good as the simple ones. Peel & trim the celery root and cut it into chunks. 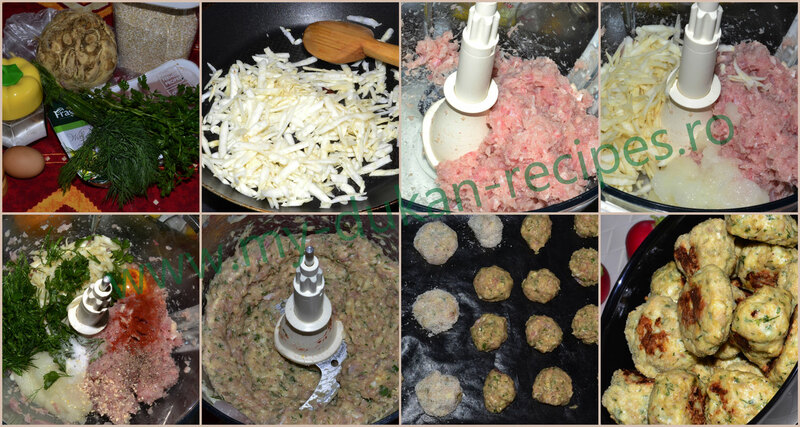 Grate it on a standard box grater or run it through the disk attachment of your food processor. Put the grated celery root into a small pan and cook on medium heat, stirring with a spatula, until the bottom is dry and the vegetable is soft and almost completely cooked (5 minutes). Run the chicken thighs through the processor by pulsing a few times to get a nice mince texture, and place it in your work bowl. Add the fresh dill and parsley, salt, pepper, paprika, garlic flakes and the celery root and mix that in. Your meat is ready for making the meatballs. 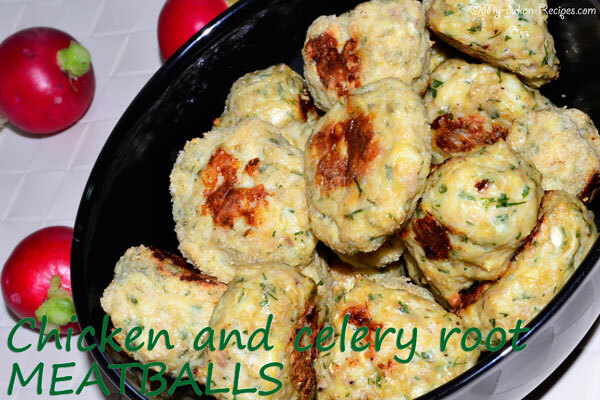 Just pinch off chunks of mixture and roll them into a ball or disk shape, or you can use an ice cream scoop to get them perfectly round and even. Place them on a baking sheet lined with parchment paper and cook them in your oven for 25-30′. After 15` you can take them out and turn them over so they can get nice and golden brown all the way around. Serve hot or cold as well.